Shall definitely do the moment I find someone, msdomains. Yes ! we do file Indian trademark application through our in-house attorneys at USD 150 per application per class. In general all domain name application we do file in Class 42 (for service marks), if any objection not file by any party then the trademark usually registers within 2 years. In general all domain name application we do file in Class 42 (for service marks), if any objection not file by any party then the trademark usually registers within 2 years. Is there a difference in filing a Service Mark vs. Trademark? Which is easier to file and which is more authoritative in protecting a domain? If someone was to do this for a name I own - would I be informed or would it just get taken away after 2 years because I did not know someone had filed it? Mitsu - My Favorite .In Registrar, And Mitsu's Owner Sanjeev Goyal so friendly that even when I was not his client he helped me to clear some problem with .IN Registry. I completely agree. My experience with Mitsu was been great. Their customer service is the best. I've spoken to Sanjeev many times and he is always friendly, helpful, and very courteous. He is a real asset to the domain industry. If anyone is looking for a registrar for their domains, I highly recommend Mitsu. As per international protocol Indian Trademark Registry follows the above classification. When you click on above link then on the left side of the page there is class No. mentioned just click on that and see the list. No ! When you file for trade mark as per rules you should first search the desired mark in desired class then only you should file but we generally files without searching ? why we do so ? there is some trick in that, After we file the application in TM registry within one or two months TM registry issues us notice that so and so mark you applied (Or similar mark) is already applied or register but we file our reply with our points to TM registry and in 99.99% cases our reply is accepted and they accept the mark for publication (i.e. called ABA - Advertise before Acceptance) once mark is published in TM Journal and if any objection not came with in 120 days from days publication of mark then same is get registered within two months and if some objection comes then we have to file reply and present our case during the hearing before the TM authorities and only after that case finalizes for registration. By direct filing we save money on searches and when we file the TM application TM Registry checks and send us notice within 2-3 months so we come to know about the other application position but we always need the TM so we are pretty much sure that we will able to accepted so we do like this, for example we have domain mart.in and we filed TM in class 42 without search, The TM called MART.IN, in that case we are 100 % sure that in this world no other MART.IN so we assured that our application will be accepted if any objection comes then we can fight for acceptance. Hope we are able to pass on the message properly to all of you. Thanks ! We are always here for customers. Thanks for your answer so .. If you file against a name - you are told there is that name registered but the person whom owns it is not? Is that right? and unless I read about it in the TM Journal and object you will take it? We failed to understand your query ? Mitsu, thanks for all the trademark information. Do you offer services whereby you just search the Indian trademarks register on our behalf (but not file a trademark application)? For example, say we're about to register a domain name and while it's not extremely valuable, we still want to make sure there's no registered trademark that can cause problems for us later on. Yes ! we can search Indian TM for any customer but charges are very high it is almost USD 20 per trademark per class search. and if you search one trade mark in all classes then charges will be USD 500 , if you search one trademark in more than 5 classes then charges will be USD 15 per class. This charges are actually time sensitive and Indian TM Registry charges for online searches on time basis and sometime there servers are responding slow so we have to loose lot of money on that. But if you go for offline basis (means apply in TM registry) then it takes four working days and charges are even more higher but we get results on official document. And in online searches you will have to take printout for customer. 1. If you as a company file for a tm against a name that I own. Would I ever been informed of this or would the name just be taken from me after 2 years because I did not know someone had applied for a tm on that name? I know you said it would be in the TM Journal but if I had never looked in this, how would I ever know? I am just worried as I own a few .in's and if I dont know if anyone has taken a fancy to them, could they just be taken after the 2 years was up because I never knew? If you donot see TM Journal then you will not know if somebody applied for name ? I am talking about a domain name..
First of all note that Indian TM rules are not made by us, we are just interpreting the same. In reply to your example we want to make it very clear that if somebody takes TM after your registration of domain name date , can still take away your domain name if the TM registrant shown the date of first use of TM before your date of registration. TM holder always have advantage in favour. Again note that Indian TM registry donot inform any person that similar TM is applied or registered and we donot think any TM registry follow this rule as far as US PTO is concern no such practice there too, it the TM holders duty to keep check on that. We have our attorney's who keep very close watch on all TM Journal and from time to time we used to file objections for clients. As far as Mitsu is concern we are having the largest database of all published TM Journals of Indian TM till date which we get updated almost every week . There seems to some confusion about trademarks and the impact it has on domain names. for that term, then it's possible that domain might be taken away from you. With regard to unregistered trademark rights, an example is Sensex.in. 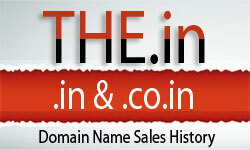 BSE won the domain even though at the time of domain registration, it had no registered trademark in India for SENSEX. It won the domain because BSE's mark was already well-known in India since 1986 and it had acquired unregistered (common law) rights arising from actual use of a mark. No, you can't lose a domain name if, at the time of registration, there's no trademark and no common law usage for that term. The reason is that there can be no bad faith at the time of registration (bad faith is one of the elements needed in order to win an INDRP action). Yes, someone can file a trademark for BLAHBLAH and you, as the domain owner of BLAHBLAH.in, will not be informed (regardless of whether or not you have an actual trademark for BLAHBLAH.in). As Mitsu already mentioned, there are services available to help people keep track of potential trademark conflicts. Yes, someone can file a trademark for BLAHBLAH and you, as the domain owner of BLAHBLAH.in, will not be informed (regardless of whether or not you have an actual trademark for BLAHBLAH.in). As Mitsu already mentioned, there are services available to help people keep track potential trademark conflicts. Thank you I really am greatful for your information but this still does not completely answer my question. If I own a name can someone that has NO previous tm and No previous usage - file a new tm and just because I do not object to this tm application (because I am not aware of it), win ? ?